Already with a location on the lower level near Bloomingdale's, a second co-branded Planet Smoothie and Auntie Anne's Pretzels will open on the main level of Lenox Square in the recently closed Mr. Pretzels. Somehow this wing of the mall (where the Delta ticket office was for many years) has always had some sort of pretzel company. 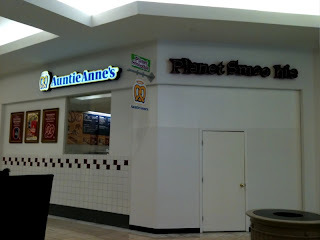 In the current T-Mobile there was once a Pretzel Time and until recently, the upcoming Planet Smoothie / Auntie Anne's combo was a Mr. Pretzels. The first location near Bloomingdale's opened as a Planet Smoothie / Nestle Toll House Cafe but the latter was dropped shortly after opening. I believe it's actually the "t" missing from "Smoothie," not the "i".. Regardless, I'm never going to this smoothie/pretzel stand. They already know my order at the other one. Right you are. The change has been made.  I see an editor job in your future ;) Glad to hear the location nearest you is so efficient.